Natural color palettes help anchor your living room. 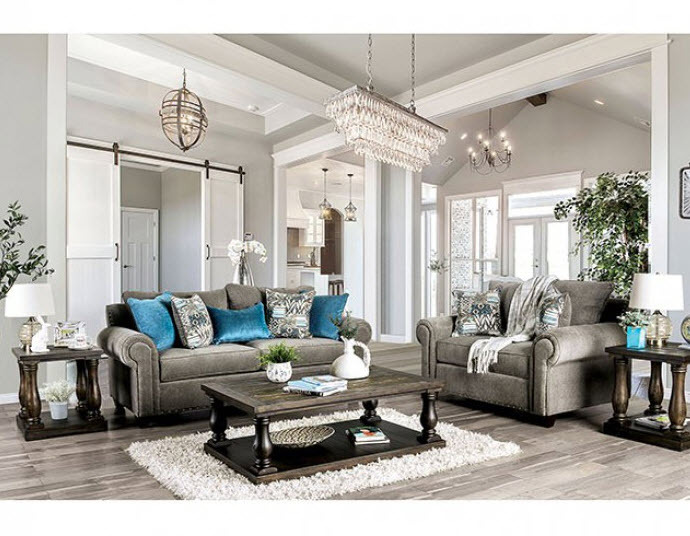 This living room collection uses earth tones to bring a soothing calming aura to the room. 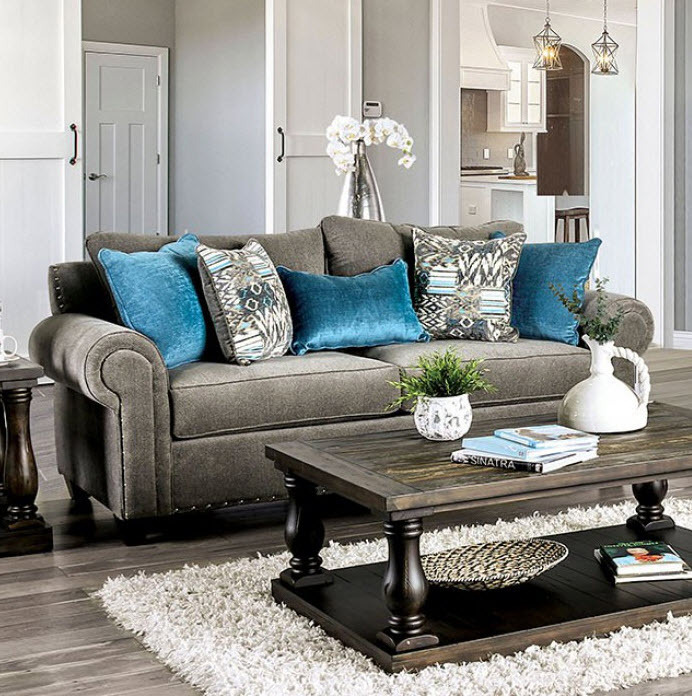 The little touches of blue help bring some life to the room and helps inspire the decor for the rest of the room. It works in rustic designs, beach house settings, or even a toned down traditional room that wants a bit more comfort. Please note that the base price only includes (1) Sofa. Please add the additional loveseat to customize this set to your liking.